Graphic design solution: The challenge about this project was to create a visual that was totally integrated into Emi et Lou's branding, in the same time could stand by itslef. The leafs and coffee beans illustration are flowting around like the smell spreading when the coffee was just made. 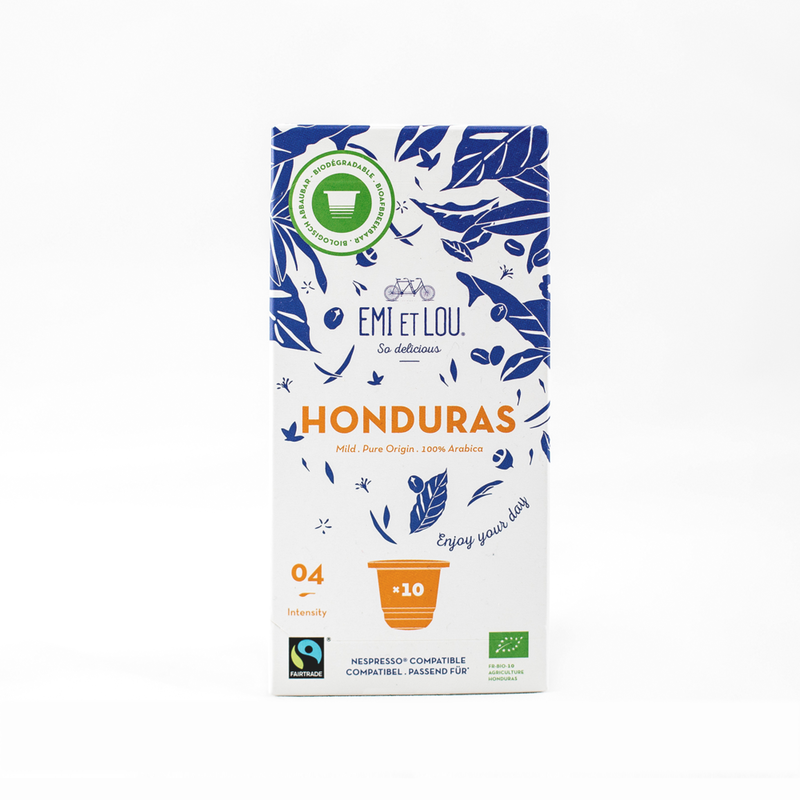 The white and blue color make the link with Emi et Lou's branding and allow the packaging to stands out in the shops. Client's project: Emi et Lou is a belgian brand that develops great breakfast's products. I already had the chance to work for them in the past and to create labels for their delicious jams (you can check them here). Their second product is a fare trade coffee with a 100% biodegradable packaging.